Cristina Rodríguez is the Leighton Homer Surbeck Professor of Law at Yale Law School. Her research interests include constitutional law and theory; immigration law and policy; administrative law and process; language rights and policy; and citizenship theory. 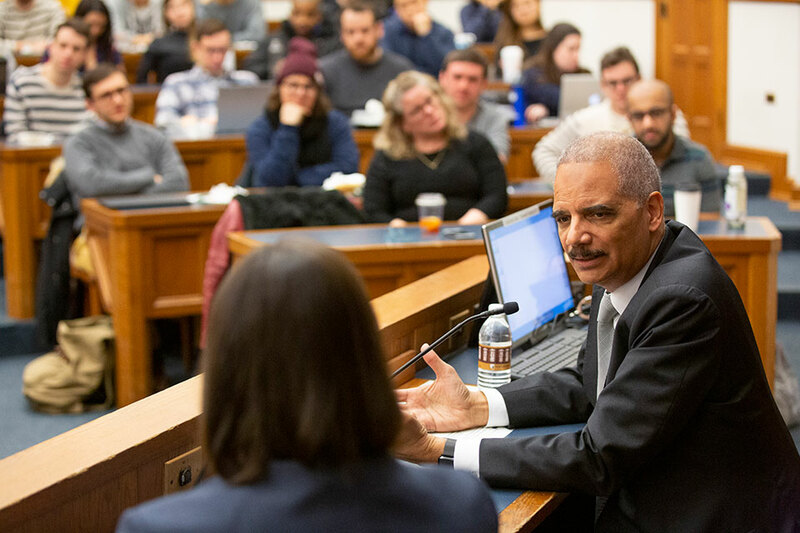 On March 7, 2019, the Yale Law National Security Group hosted a conversation with former Attorney General Eric H. Holder, who led the Department of Justice from 2009 to 2015. Yale Law National Security Group copresidents Nikita Lalwani ’20 and Josh Rubin ’20 introduced Holder, and Leighton Homer Surbeck Professor of Law Cristina Rodríguez ’00 moderated the discussion. 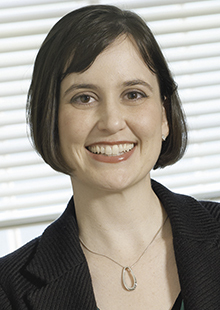 Leighton Homer Surbeck Professor of Law Cristina Rodríguez ’00 is quoted about various legal challenges to the national emergency declared by President Trump. Leighton Homer Surbeck Professor of Law Cristina Rodríguez ’00 was a panel guest on WUSA where she discussed whether Congress can end the government shutdown without President Trump’s support. Leighton Homer Surbeck Professor of Law Cristina Rodríguez ’00 is quoted in an article about Justice Sandra Day O’Connor, who announced that she will retire from public life. Can Congress Subpoena The Interpreter From Trump’s Putin Meeting? Experts Aren’t Sure. Some constitutional scholars want lawmakers to try anyway. Leighton Homer Surbeck Professor of Law Cristina Rodríguez ’00 is quoted in an article about whether the Senate can subpoena the U.S. interpreter who was in the room during the private meeting between President Trump and Vladimir Putin. Sterling Professor of International Law Harold Hongju Koh and Leighton Homer Surbeck Professor of Law Cristina Rodríguez '00 were featured on a podcast discussing the travel ban. Leighton Homer Surbeck Professor of Law Cristina Rodríguez ’00 is interviewed about the rights of those who cross the border illegally. Leighton Homer Surbeck Professor of Law Cristina Rodríguez '00 is quoted in a story about possible precedents being set were President Trump agree to an interview with Robert Mueller. Will Trump’s Latest Travel Ban Pass Muster With The Supreme Court? Leighton Homer Surbeck Professor of Law Cristina Rodríguez ’00 is quoted in a story about President Trump’s latest travel ban. Adam Cox is the Robert A. Kindler Professor of Law at NYU and Cristina Rodríguez ’00 is the Leighton Homer Surbeck Professor of Law at Yale Law School. Leighton Homer Surbeck Professor of Law Cristina Rodríguez ’00 was interviewed about whether Congress will act on DACA before the program ends in March of 2018. Leighton Homer Surbeck Professor of Law Cristina Rodríguez ’00 is quoted in an article about presidential pardons. Leighton Homer Surbeck Professor of Law Cristina Rodríguez ’00 is quoted in an article about the Supreme Court’s ruling on the travel ban. Legal experts: Comey's testimony described serious misconduct by Trump including "abuse of power"
Leighton Homer Surbeck Professor of Law Cristina Rodríguez ’00 is quoted in an article about former FBI director James Comey’s testimony before the Senate intelligence committee. Leighton Homer Surbeck Professor of Law Cristina Rodríguez ’00 is part of a panel discussing executive power. Leighton Homer Surbeck Professor of Law Cristina Rodriguez ’00 was a guest where she discussed the firing of FBI director James Comey. Leighton Homer Surbeck Professor of Law Cristina Rodríguez ’00 was a guest on a podcast, where she discussed the future of sanctuary cities. Cristina Rodríguez ’00 is the Leighton Homer Surbeck Professor of Law at Yale Law School. J. Skelly Wright Professor of Law Heather Gerken and Leighton Homer Surbeck Professor of Law Cristina Rodríguez ’00, David Golove ’93 LLM ’99 JSD, Roderick Hills ’91, Dawn Johnsen ’86, and Pamela S. Karlan ’84 were among a group of constitutional law experts who replied to a query about comments made by Stephen Miller, the President’s Senior Policy Advisor. Leighton Homer Surbeck Professor of Law Cristina Rodríguez ’00 was interviewed about legal challenges to President Trump’s immigration order. Leighton Homer Surbeck Professor of Law Cristina Rodríguez ’00 was a guest where she discussed President Trump’s travel ban. Leighton Homer Surbeck Professor of Law Cristina Rodriguez ’00 was interviewed about the use of presidential executive orders. Dreamers Told Feds Where They Live. Will Trump Deport Them? Leighton Homer Surbeck Professor of Law Cristina Rodriguez ’00 is quoted in article about the future of those granted protected status under the Deferred Action for Childhood Arrivals. 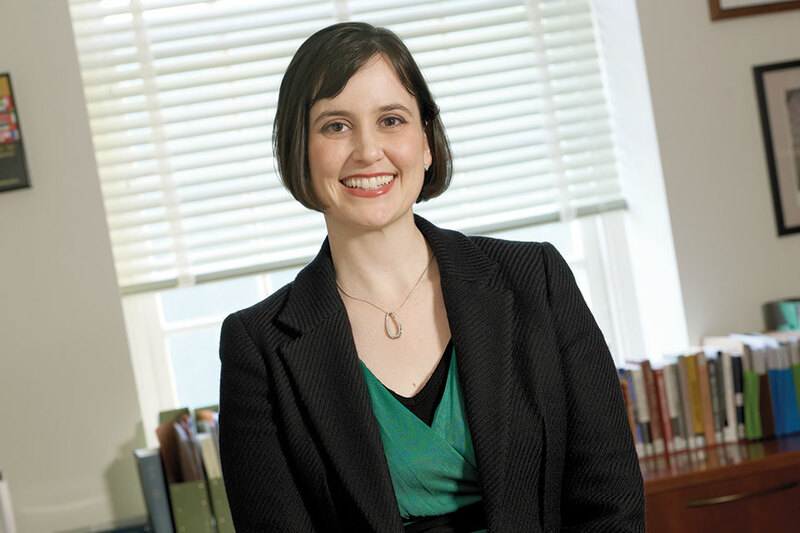 Leighton Homer Surbeck Professor of Law Cristina Rodríguez ’00 is quoted in an article about the Supreme Court’s decision on President Obama’s immigration executive action. Podcast: Is President Obama’s immigration policy against the law? Leighton Homer Surbeck Professor of Law Cristina Rodríguez ’00 is interviewed about President Obama’s executive action on immigration. Leighton Homer Surbeck Professor of Law Cristina Rodríguez ’00 and Anil Kalhan ’99 discussed President Obama’s executive action on immigration during a radio segment. Leighton Homer Surbeck Professor of Law Cristina Rodríguez ’00 is quoted in an article about the Supreme Court’s announcement that it will hear a lawsuit from 26 states challenging President Barack Obama’s stalled 2014 executive action on illegal immigrants currently living in the U.S.
Leighton Homer Surbeck Professor of Law Cristina Rodríguez ’00 is quoted in an article about Donald Trump’s plan to ban Muslims from entering America. Professors Koh and Rodríguez pen letter with other top legal scholars declaring President Obama's new immigration policy legal. Cristina Rodríguez ’00 will join the Yale Law School faculty as a professor of law on Jan. 28, 2013. IMMIGRATION AND REFUGEE LAW & POLICY (with Stephen H. Legomsky) (Foundation Press 6th ed. 2015) (5th ed. 2009) (Supplements 2011 & 2013). Uniformity and Integrity in Immigration Law: Lessons from the Decisions of Justice (and Judge) Sotomayor, YALE L. J. FORUM (March 15, 2014).